Supporting local businesses and expanding agriculture are two recommendations in the Timmins 2020 Strategic Plan. Radical Gardens Farm is working to do just that with their new restaurant/market that opened on the corner of 5th Ave and Balsam N. The restaurant serves up local food and their speciality is roasted tomato soup and the killer grilled cheese sandwich. Also available for sale is local produce right from the farm and products from partner farms throughout Northeastern Ontario. The market will increase accessibility of local produce for residents who don’t always have the time to head to farm gate markets or the weekend farmers market. The storefront has been beautifully renovated and features a vibrant exterior that was painted by owner Brianna Humphrey. The unique colours and grafitti like paintings perk up the neighbourhood and work to beautify the community and enhance community pride. Customers were so excited to try the new fare on the first few days that all the available food was purchased. The team had to close the shop for a day to pick up more produce and visit their suppliers. This clearly indicates that Timmins has an appetite for local food and unique ideas! Humphrey is trying to create innovative ways to not only provide local food to residents but provide innovative programming around supporting local. 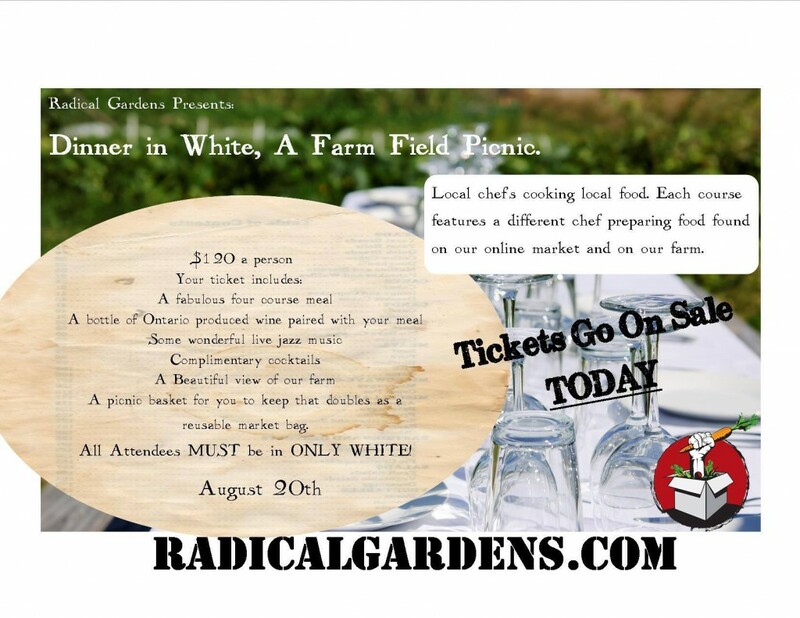 The farm will be hosting its first event called “Dinner in White, A Farm Field Picnic” where local chefs will be preparing local food. The winner of Lunch with the Mayor is…!